The School of Planning at the University of Cincinnati is committed to innovations in the planning and design of livable and just futures. 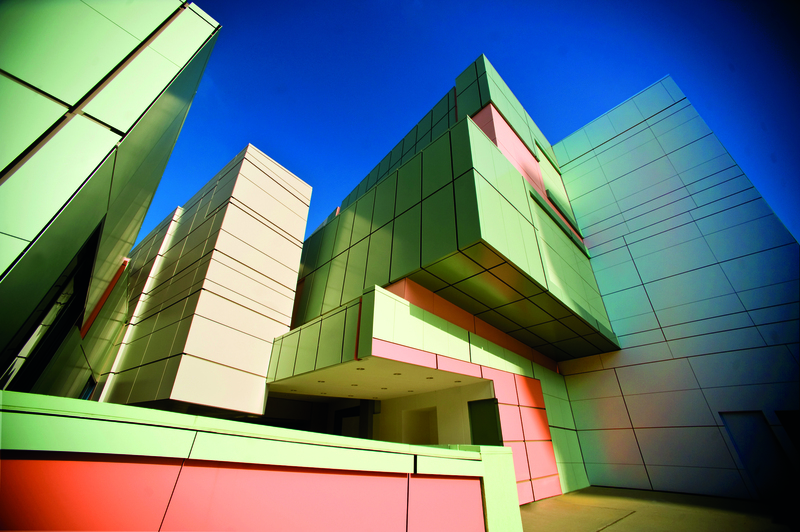 Housed in the world famous, Peter Eisenman-designed College of Design, Architecture, Art & Planning, students have the opportunity to collaborate in a creative multi-disciplinary environment to Impact Urban Futures. The MCP program, accredited by the Planning Accreditation Board (PAB) since 1964, provides an interdisciplinary planning education based on innovative and cutting-edge social and natural sciences, experiential learning, sustainable development, physical planning, urban design, and community engagement approaches. The program provides opportunities for students to be involved in local community development projects preparing them for the professional practice of planning at all levels of government, the private sector, and non-governmental organizations. The MCP two-year program, recognizes the wide range of students’ undergraduate backgrounds and trains professionals for distinguished practice in planning and sustainable development. It integrates academic and professional practice—MCP students participate for one semester in the renowned UC co-op program, which is over 100 years old—with a deep concern for community development, sustainable urban design and environmental quality. A special feature of the program is global exposure—a majority of the faculty has significant international experience, and the graduate student body is one third international—with opportunities provided by several programs and initiatives, including one in association with the Peace Corps. Planetizenhas ranked the MCP program within the top 25 since the 1st edition of the Guide. It currently stands 16th in North America and 3rd in the Midwest Region. The program has over 1000 graduates throughout the US and around the world, as well as another 1000 from its PAB-accredited Bachelor of Urban Planning (BUP) program. The MCP is classified as a STEM program, which allows a two-year extension (for 3 years in total) of Optional Practical Training (OPT) for international graduates holding an F1 Visa. The curriculum is deliberately designed to allow students to take a large number of electives encouraging them to use all the opportunities that a great research university has to offer. Students may build their own specializations, especially using the faculty's particular strengths, or pursue Certificates in Urban Design, Historic Preservation, GIS and Real Estate, which can be earned simultaneously with the MCP degree at no additional cost in time or tuition. The school also offers a number of joint degree programs, including a BUP/MCP, an MCP/MLA, and an MCP/JD, as well as an accelerated MCP for mid-career professionals. Numerous study abroad opportunities are offered as well.